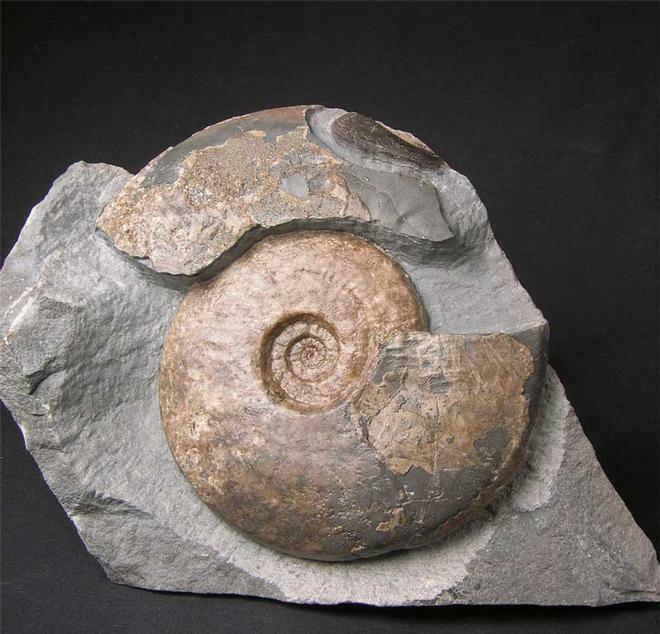 Found in the 1990's from a large beach pebble comes this very rare and well preserved display ammonite. 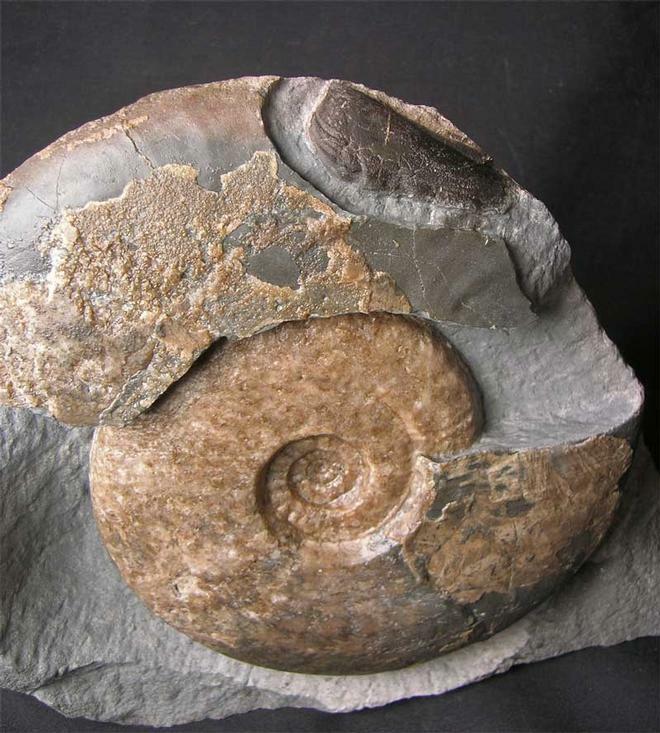 Whilst preparing the ammonite a large Aptychus was discovered in the body chamber. 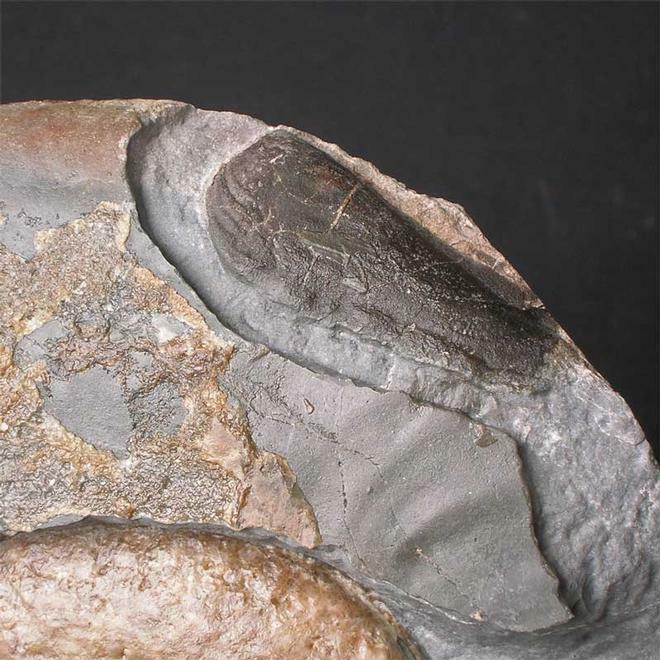 The function of these is a closing hatch to protect the soft bodied creature that lived in the shell. 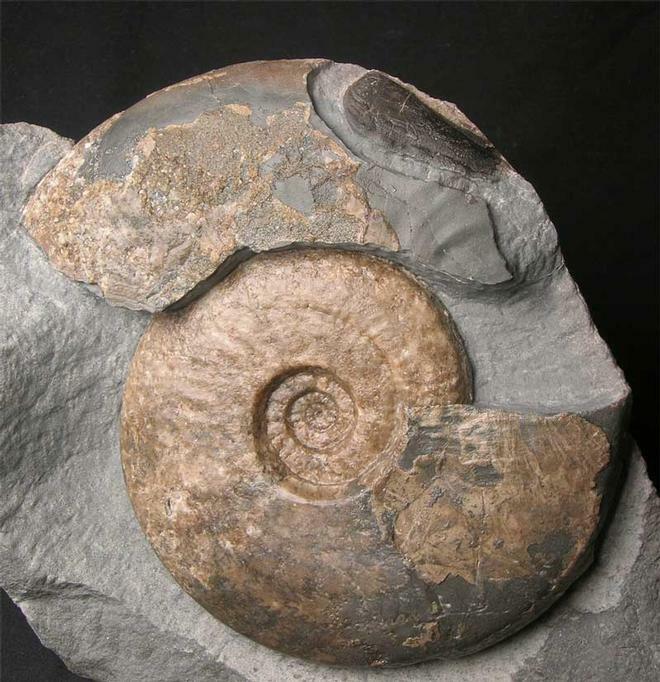 Examples of Aptychus preserved in ammonites is very rare and this is an extremely fine example from the famous Jurassic rocks of the Isle of Skye.